Lone Stand Up (S.U.P.) paddler, Kevin Hadfield, joined local and international outrigger va’a teams in the Alo Paopao Sheraton to Sheraton regatta last weekend. Hadfield is a local paddler and an S.U.P. enthusiast. 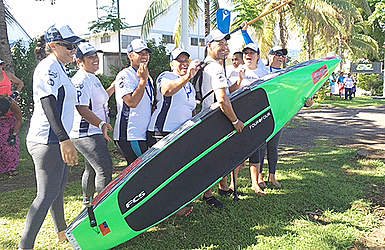 He joined other paddlers in taking part in the 33km race that stretched from the Sheraton Samoa Aggie Grey’s Hotel & Bungalows in Apia to Sheraton Beach Resort, Mulifanua. It is the first time in the annual event that a S.U.P. paddler has attempted the challenge. Hadfield completed the distance in 4 hours and 41 minutes. 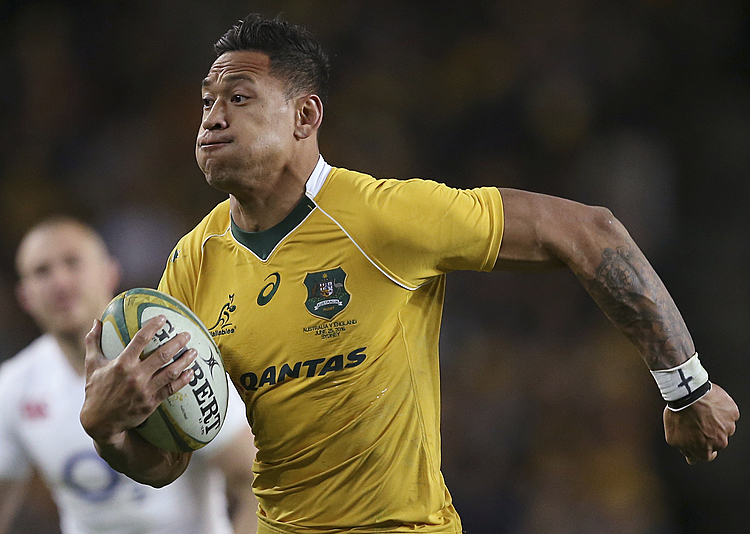 “Last year I participated as a member of Nafanua’s open men’s team,” said Hadfield. As with long distance racing of any kind held in Samoa overcoming the heat can be a real challenge. “The water was very flat which made standing on the board easier but there was virtually no wind assistance and the heat got to me at around the 27km mark,” Hadfield said. From a tourism perspective, Hadfield believes S.U.P. could add another dimension to what Samoa has to offer. He is grateful to Alo Paopao Chairman and event organiser, Ulugia Jay Ah Fook, who welcomed the addition of a S.U.P. category to Sheraton to Sheraton regatta. “Hopefully we can attract more participants next year or even consider S.U.P. relays to break up the 33km race,” said Kevin. The event was sponsored by Vailima Breweries, Sheraton Hotels & Resorts, Pacific Forum line, Naydith events Hirage, Loaded and M&J Ah Fook.